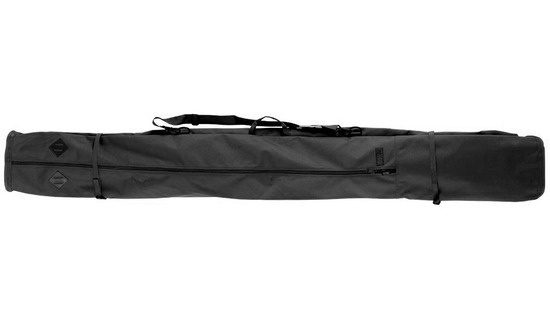 The K2 Deluxe Single Ski Bag will fit one pair of skis and it is availabel in 2 different lengths. This is a fully padded ski bag with a internal compression strap and a shoulder strap. With this bag you should buy a cargo bag to carry the rest of your ski equipment. K2 Ski Bags are a great fit to go with your brand new K2 Skis.